Nowadays everyone is running a blog and striving to earn a living! Is it that easy? Blogging is not a child’s play. But when you focus your passion and effort to any goal, things become simpler. Dedication, planning, time management, hard work and finally your luck are some cornerstones that can make your blog a success. After running your blog for months and years without any constant stream of income often demoralizes and may shake your confidence. This is when you need to keep your patience and hope alive. Believe in this quote of Arnold Schwarzenegger “The mind is the limit. As long as the mind can envision the fact that you can do something, you can do it, as long as you really believe 100 percent” and keep going with stronger belief and confidence. I have been through lots of hardship and low times when I found myself nowhere even after putting my best. I felt like success is only for those who are born with a silver spoon in their mouth; I have a bad luck; things are not falling in place. But finally, I decided not to give up. The night could be long but it ends. The only thing that keeps you alive and going is hope for a better day and patience. It doesn’t mean you keep waiting doing nothing. This wouldn’t work either. Do your best and leave rest on Almighty. I just want to share my own experience of blogging and the ways I found effective to earn out of it! It is not similar to any other blogger. Every blogger has his own way of blogging, writing and engaging with audiences. So does his experience and sources of income. Here are few tips you need to do to drive traffic! You must write the right content that your audience would be interested to read. It should give some solution to their worries. It could be related to earning, parenting, writing, gardening, self-help and more. All these are topics people keep looking out for. Your content should give a quick fix that should be effective as well as simply written. I never wrote I don’t know about. I get most of the traffic organically or through social media. I never believed in SEO and technical aspects of blogging that is said to be more convincing and result-driven. What if you get a lot of traffic but not the lead or revenue you want? I believe in approaching those who matter, not gathering an unnecessary audience who cannot understand what I want to say. I do not say SEO is ineffective but I never understood its concept and believed in direct marketing. Social media is the biggest marketplace ever and is not going to slow down soon. The most prominent of all is Linkedin, Twitter, and Facebook. I would keep the Linkedin in the first place due to its professionalism. Then comes Twitter and finally the Facebook. I created an appealing and rich profile of mine with recommendations and made it live. I sent few invites to people of my profession and taste. In return, every day I started receiving invites from others too. This process kept growing and now I have more than 20K connections that I value most. I kept sharing my blog posts and other details relevant to their profession every day. This not only increased my outreach but the visits to my blog too! There would be people who would object on your regular share. Respecting their right to like or dislike someone, you can unfriend them. No wonder there are people too busy to entertain you or read your blog. It’s OK! You can politely apologize for encroaching their privacy without their consent. Let this process keep going for months. Next amazing platform and marketplace to promote your blog is Twitter. I target those authors and bloggers who are outside my country. As they have mostly English as their first language, they like my post and understand it well. I tweet different posts from my blog every day at least four to five times. If someone will miss reading once he can read the other one but keep sharing your work every day. I retweet the work of other authors, bloggers or followers also. I like their shares every day, spending sufficient time. I also message them the links to different blogs. I follow nearly 100 people each single day, who are my likely prospect or reader. After few days or few weeks if they show cold shoulder, unfollow them and start following another person. Don’t forget you cannot follow more than 5000 people and you can be followed by 5000 people only. While sharing your posts also integrate your blog name and logo if possible, as I write gudbe.com and also integrate the logo. You may also share two images, one the shared post’s feature image, and your logo. Making this a regular practice has kept my blog name and logo in the mind of my readers and contacts. People are now quite aware of gudbe.com and go4contents. I created multiple accounts in the name of my relatives and maintained it regularly, giving every account a new and unique personality of its own. I send invites every day to selected people and it keeps growing. It increases your connections and thus the visits to your blog. I like others posts in my circle and share my blog in every group and also blogs of others in my timeline. I send few comments per day, which personally connect me with them. I share the link to my post to few people per day through messages. Sharing your old blogs will also work if you do not have anything fresh to share. You can complete the circle once you have a new blog to post. Do not forget to be consistent in these activities. You will be surprised to see the sudden change in your social status and the traffic on your blog. We all know how popular Google+ is when it comes to social media platforms. You can create an account and follow the same strategy of sharing and inviting people. Share your blog on different communities, as thousands of communities are there with millions of members in every community. I make it a point to run my blog through them every day at least once. I share my blog image and logo both simultaneously. It is a very effective strategy to stay in the eyes of your readers. This is yet another very active community and effective platform to market your blog. Here people are proactive. The best practice is to download as many images as you can from your blog and keep sharing them with a trigger about the topic and the blog link. Follow few hundreds of people every day. This will increase the outreach of your shared link thus visits your blog also. Don’t forget to like images of other people and comment on them. It will attract their attention. The best practice is to share your logo or profile image to stay within the minds of your connections. 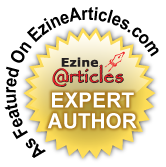 Spend time reading the blogs of other bloggers every day and post your expert comments. They often return the favor thus adding comments to your blog too. For being a good blogger you need to be a good reader first. Once you reach a decent traffic to your blog, it’s time to convert your guest post to promotional post. This will help you brand others’ blog and services also while promoting your own blog. When I started blogging I accepted the guest post but now it is a promotional post that I am accepting and I am getting a good traffic of people reaching out for sponsored posts. But it all took a lot of time, hard work and patience to reach this stage. Your blog should receive a decent amount of traffic, i.e. few thousands per month, or else no brand will approach you for sponsored post. We have also promoted the sponsored post on social media utilizing the strong network of connections with the author’s image and the relevant business link to the post. This has earned a good reputation in the eyes of our sponsors and they are happy to stay with us. Displaying banners of other company on your blog aligning with your niche is also a way to earn a small amount on monthly basis. If this banner drives some traffic and conversion the company will stay with you for long. So, try this strategy and watch out how banner ads work for your blog. I also advertise the books of authors on my blog for a small cost that is very much affordable and driving results to them. You can do this for your blog too when it starts receiving good traffic. You may create a page for this purpose and share it on social media for awareness of those who are looking for such opportunities. You can also use Google Adsense for posting ads on your blog and in return you get few dollars to your account which keeps accumulating with time. Once it reaches the threshold of $100 they release the payment. This is the most effective way, although a little slower, but can help get few bucks even if your traffic is not awesome. These are some of the most basic and primary ways I earn from my blog but the sky is the limit. With the growth of blog, you can keep finding newer ways to earn money. But all this is only possible when you consistently share and promote your blog online relentlessly every day. Do you have any more concern? Write to me! Great article, was looking for something like this since morning. I’d be trying LinkedIn & G+ from now on. Also regarding Twitter, you can follow over 5k people too. The basic limit is 5k. When you have 5k followers you can follow 10% more users than your followers’ number. ex: with 5k followers, you can have 5.5k following. Subsequently, if you have 10k followers, you can have max following of 11k. Oh! Is that so? Thanx Abhishek for the comment and information! Interesting thoughts and surely different from rest of the posts of this kind available on net. Thanx KaJo for the comment and support! I have followed most of these tips here for a while now. What remains is the eBook promotion only. But I am not too much into that, so don’t know a lot of things. But anyway, good article and some cool tips. There are almost similar tricks to promote ebook! Once you have the network of people, you can promote any stuff! Thanx for writing to me on this! I have already replied your email. Thanx for your precious comments! Very well enumerated and presented. Social media indeed is very important for growth of blogs, I realized it quite late. Yes Indrani! I bet social media alone can do miracles! Lovely tips to help the bloggers like me and all others, great efforts, and thanks for sharing this with us. Thanx Amogh for the comment! Thanx Ritu for the compliment! Stay tuned for more such pieces! well written mamta ji.I too agree that it is always better to do direct marketing through social media. I too was blank about search engine etc but feeling shy to come out. Now that i know there is one more person feeling the same way i feel comfort. I have just entered the world of blogging and have a long way to go. Thanx Pichai for sharing the same concept of direct marketing and social media! Keep visiting for more inputs! Informative post. Though I am very much active on social media, but have not yet started to commercialize my site. This post will help me in starting my journey towards earning money through my site. Thanks for sharing. Thanx Vandana! Keep visiting for many more successful stories here! Thanks Rita for your kind appreciation! Please keep reading for devouring many such more!